Happy day. It would have driven me nuts. Unless you get a ball buster most cops will let you slide for not having a front plate on the beautiful sports car that is a vette. So I have a question. Were the panels painted on the car or off? If ANYTHING was painted on the car it is not a high end job. Second, having a no orange peel finish is a dead give away that paint work was done because it will not match the rest of the car. Some orange peel has to be left behind and a great body shop would know this. I guess you are ignoring the fact that many Vette owners have a complete paint correction done, which will remove orange peel. Many new cars still have some orange peel in the paint. I haven't noticed any on my vette, but I'm sure if I looked closely enough I might find it somewhere. I will say that I bought a matching targa top off someone and did notice some orange peel on the top. I am having the top repainted due to damage during shipping so I'll have the body shop make it perfect for me anyway. Last edited by TorchRedFred; 06-19-2017 at 12:03 PM. 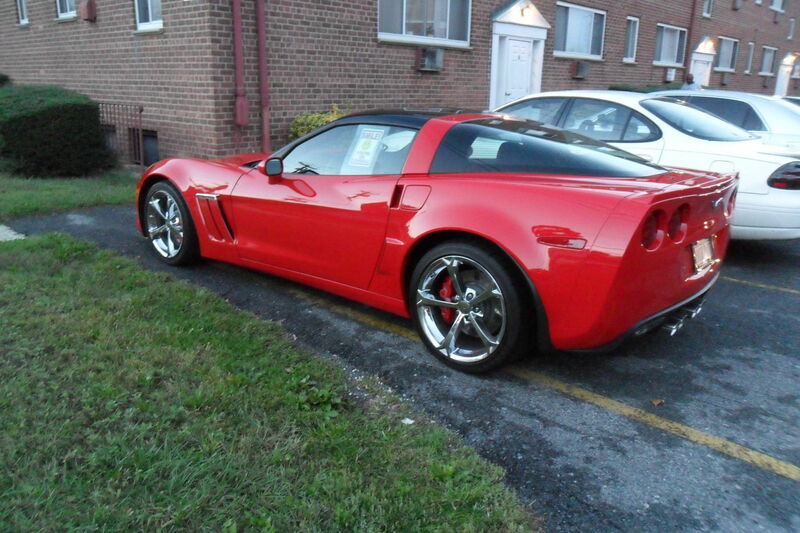 I am far from a 18 year old and do have my own corvette. Why is that you have to knock every post you reply to and ALWAYS act like a real *******. I particularly wait for your responses in any thread just to see how angry you are that day. Nothing EVER nice comes out of your mouth. You just never met the right person to CLOSE it for you. Last edited by Sky High; 06-19-2017 at 12:29 PM. Mine doesn't have peal either. If it does one would have to search it out. So it does have it if you look for it. Make up your mind. This is my paint job after someone keyed the side. Fender, Door and Quarter Panel were removed and sprayed off car. Does this look like a peel job moron? Yes it's there but it matches the rest of the car. I washed my 2012 today and made a point to keep my eyes open for some orange peel in the paint. It didn't take me long to notice some on the front fascia (bumper). Does it bother me, no. My car has about 2600 miles on it and looks like it just left the showroom floor. Just want to make a point that if you know what to look for, most factory paint jobs have some peel in its paint.